Party Palace, now McDonald’s. Early 1980s. It’s a bit to make out, but you can see Goldstein’s reflected in the glass. Image: Ronald Temchuk. Boushey’s in the early 1980s. Image: Ronald Temchuk. Now home to the Ministry of Coffee, Wine Rack, and Fox & Feather. Early 1980s. Image: Ronald Temchuk. Now the site of the Zesty’s, corner of Elgin and Maclaren. Early 1980s. Image: Ronald Temchuk. Recently, on the Lost Ottawa Facebook group, an individual named Ronald Temchuk shared some photographs of Elgin street from the early 1980s. It’s not just because I’m a very happy Elgin resident that these stood out to me: I’ve written stories in the past about a few of these places (with many more in the hopper). If there is one thing I wish quite strongly for is more photographs of Ottawa, like the above, to be made generally available. Between a lack of will/funding and jealously-guarded copyrights, we actually have fewer opportunities to view Ottawa in the more recent past than many other cities. Although I have other more personal/emotional supporting reasons for it, one of the reasons that Toronto history has become increasingly fascinating to me in the last several years is that there are numerous sources for photographs that capture the city between the 1920s and 1990s. My imagination can’t help but run wild and my uncontrolled curiosity teased. I’ve sometimes spent hours lost in here. Although I acknowledge that the digitization of Andrews-Newton photographs (read: Ottawa Citizen) from 1954-56 has been useful and is greatly appreciated, it’s a very narrow slice of time and only about the beginning of my own years of interest. 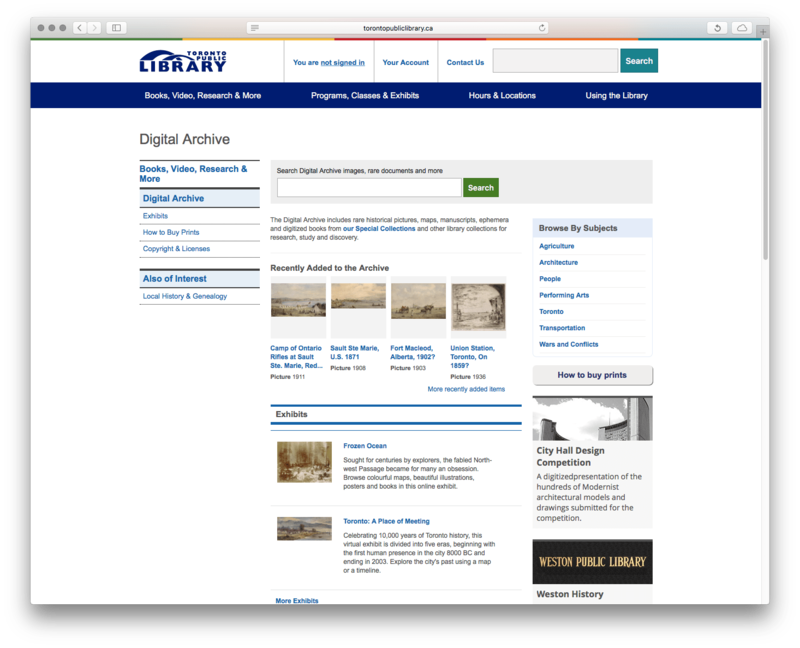 To that end, I’ve combed and digitized choice items from collections at LAC, such as Malak Karsh’s, Ted Grant’s, and Duncan Cameron’s myself, but with poor equipment and limited time, it’s not easy to keep up. I’d also like a little more easy discoverability. I realize that it’s in the realm of pure fantasy at this point (and will likely remain so indefinitely), but I’d at least love to see the Ottawa Citizen’s (or even the Journal’s) photographs made available like the Toronto Star’s have been by the Toronto Public Library. Here too. 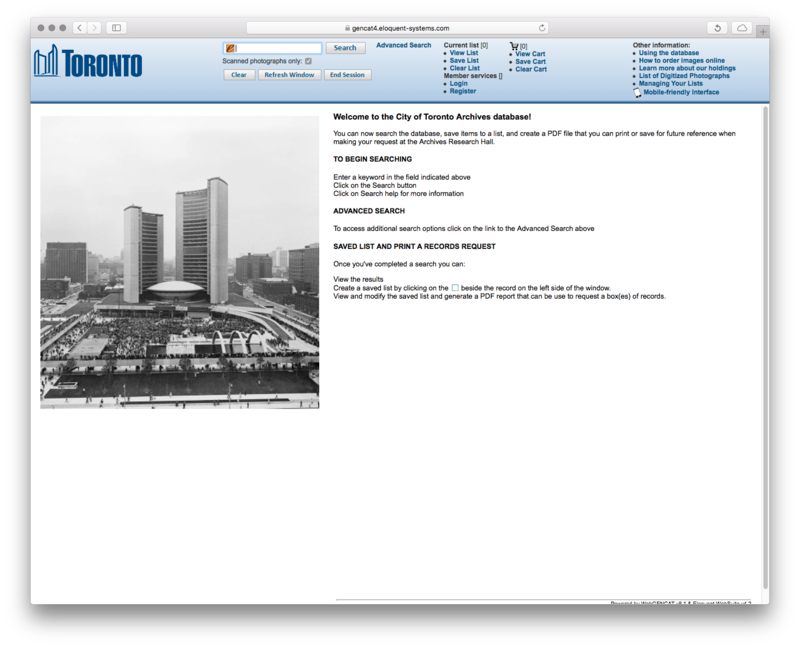 So many of the Toronto Star’s photographs are available at high resolutions.